Petswelcome.com / Articles / What is Your Favorite Dog Breed? Do you have a favorite dog breed? If you’re a dog lover, you probably have a strong opinion on the topic, one probably slightly biased by the animal(s) sitting right next to you. I know that’s the case with me. I have two dogs, both purebreds and, suh-prise!, they happen to be my favorite types of dogs. I have a Bracco Italiano (a what? you might ask) and a Vizsla. They are very different and only have two things in common: they are both bird dogs and neither one listens a whit to anything I have to say. As a matter of fact, that’s a trait shared by every dog I’ve ever had. I’m not sure what that says about them or, more probably, me but let’s not go there. And that’s the interesting thing about the type of dog you have, it likely says more about you than the dog. So, if you chime in with your favorite breed (which we hope you will), we’ll know who you’re really talking about. Focusing on a dog’s breed is often a snooty undertaking. I mean, what difference does it really make? Many people prefer mixed breeds or mongrels (dogs not bred for specific traits) because they often have a healthier gene pool (much less inbreeding) and they have the potential to exhibit the best traits of many breeds, not just one. Friends of mine who always have had Gordon Setters now have a mixed breed (is it unPC to say mutt?) named Charlie, whom they adore. So purebred does not mean superior. Our Sales Director, Cindy, says her favorite breed is Pomeranian because they are gentle, dedicated and personable. Hmmm…sounds like a person I know who works at Petswelcome. Then, of course, there are the specific mixed breeds such as Cockapoos, LabraDoodles and Chugs, which are all the rage. Mika, who also works at Petswelcome, has a Goldendoodle named Murphy. “What makes him awesome,” Mika says, “is his incredible laid back personality. He has tons of character, but is very chill about everything. He’s also extremely smart. He will pick his own treats at the store; if I put down four different bags of them, he’ll bring me the bag he wants. He can open doors (including pulling on them to open them, if I have a string tied to it that he can pull with) and the best thing is he sheds very little and doesn’t drool.” Imagine that? Really smart and doesn’t drool. That’s a tall order even for a human. If you have a mixed breed, we’d love to hear about it. Do they evenly represent both breeds in temperament and personality? Or do they just look like both breeds but have totally individual personalities that are unique only to your dog? If I must declare my favorite type of dog, which I kinda have to because I’m writing this article, I’m going to say that it’s a Rescue. Booyah! I know, I’m cheating. Rescue is not a breed and I’m only saying it because it’s self-serving and makes me out to be a better person than I am. 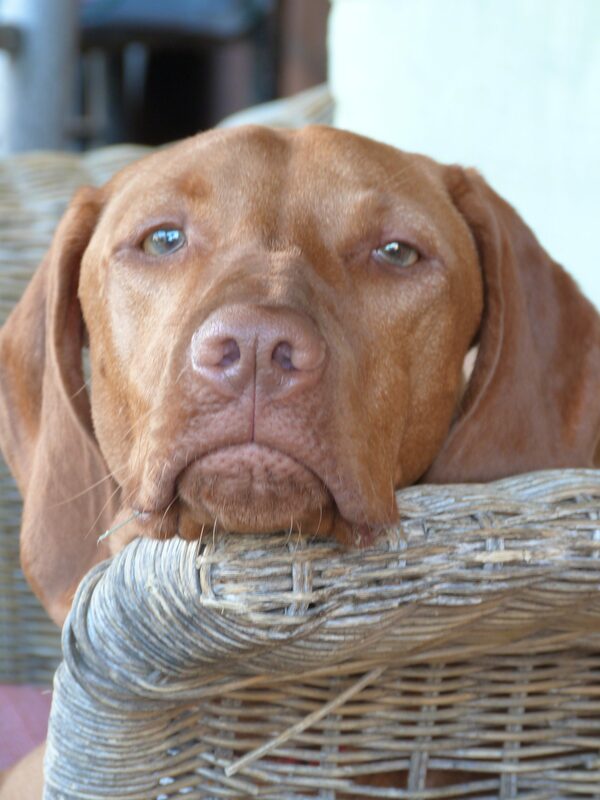 However, my dog Rusty, the Vizsla, is a rescue and I couldn’t NOT pick him because he’d feel disparaged and mope around the house if I chose another breed. Rusty is happy, if tentative, and he’s totally dedicated and loves me like nobody’s business, which is a trait all Vizslas share. There’s a Hungarian saying—Vizslas are Hungarian pointers—that if you own a Vizsla, it lives on your head. Rusty’s a bit advanced in age for that now, but he regularly gets his old soul tangled up with my old soul and I wouldn’t have it any other way. 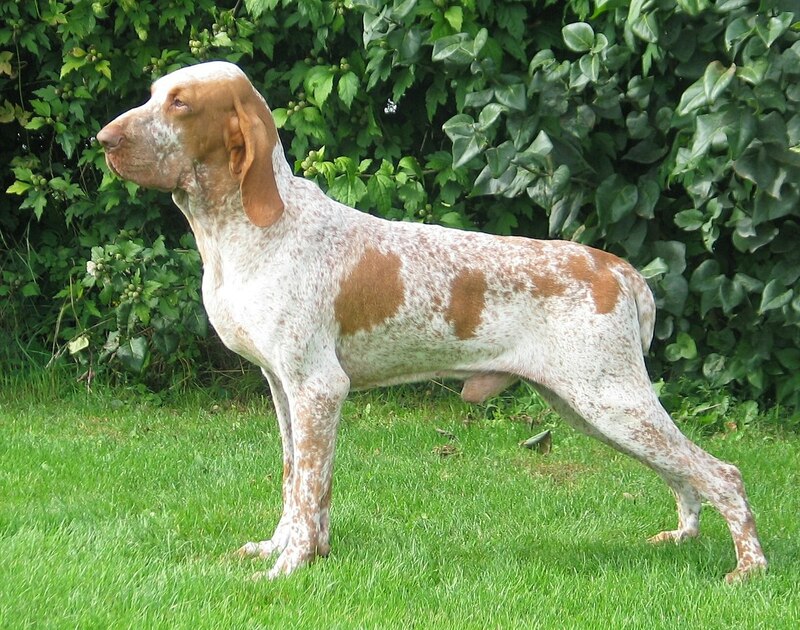 But, to finally—and really—answer the question, my favorite breed is the Bracco Italiano. They are sweet, sweet, and sweet—to a degree unlike any other dog I’ve ever come in contact with. They’re not necessarily towering intellects, but it doesn’t matter. Did I mention they’re sweet? And stunning looking. And very noble in bearing and personality. I love Hobbes dearly and therefore publicly declare Braccos to be the best breed ever. We’d love to hear about your favorite breed, be it no-breed, mix breed, rescue or whatever. We’ll be giving out Petswelcome Road Warrior T-shirts to the best responses, so pipe in and let us know what type you think best represents the noblest of all animals, canines.